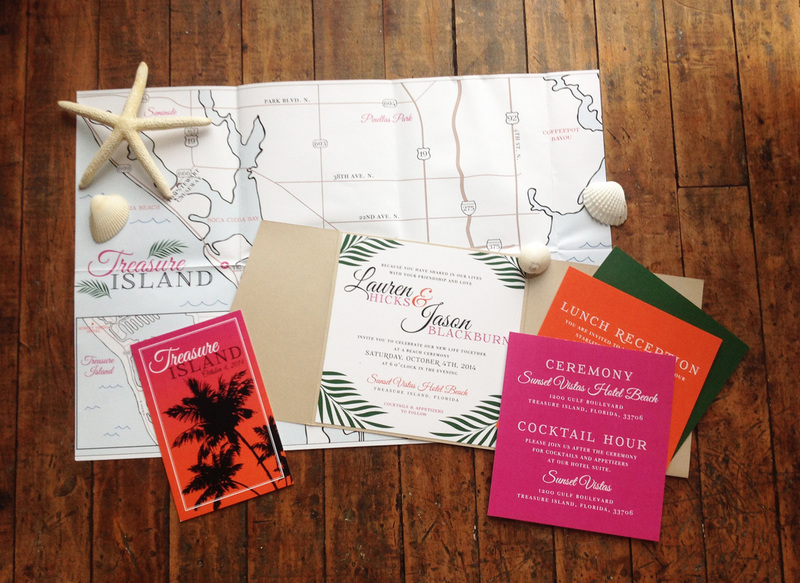 Lauren and Jason decided they were going to have a small beach destination wedding in Florida and then a reception back home a month later, each having a different vibe. 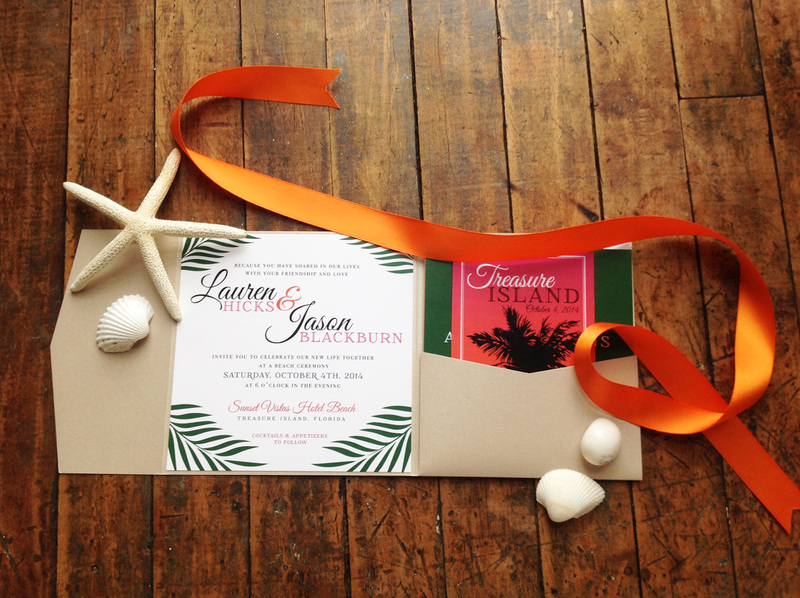 (click here to view their reception invitations) For their wedding invitations, they wanted it to be fun and colorful. Something special their guests could open and be excited about. 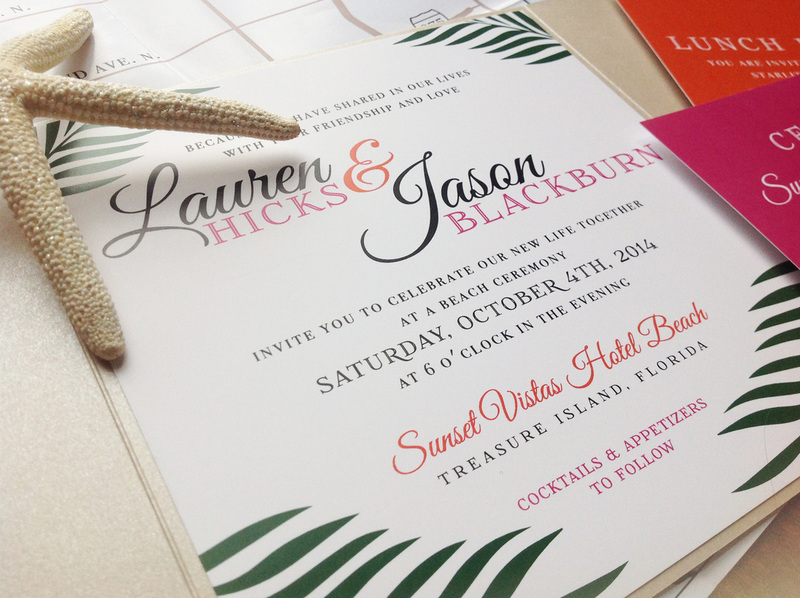 They wanted their guests to relax and have a vacation of their own as well. 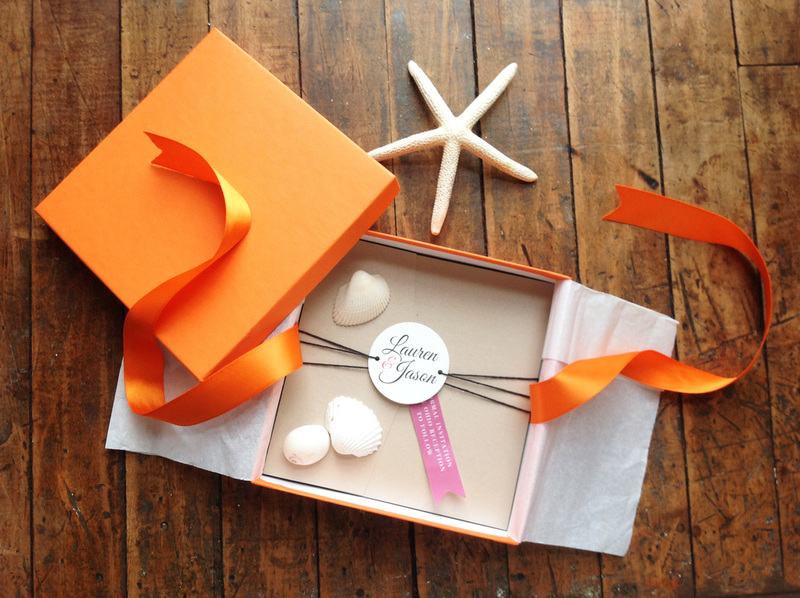 Included in each box was a starfish and shells. Inside in the invitation pocket was a post card reply card, and three double-sided information cards about the big day and activities that would proceed the next day. A large custom map of the area was also included.